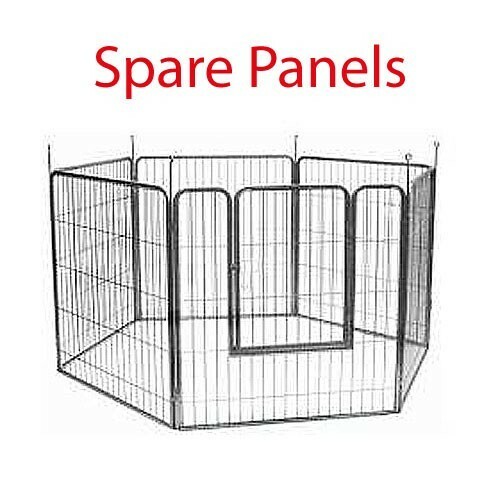 Expand on our heavy duty metal tube play pens with extra panels. Choice of plain panel or one with gate. Price includes connecting pin. 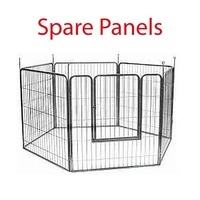 Expand your existing play pen with extra panels or gates, be able to do more configurations and shapes! Please note that price is for PER PANEL and the metal tube play pens require to be connect in EVEN numbers (i.e. male panel -> female panel -> male panel). Note: While powder coating can provide rust protection againist the weather (e.g. an afternoon at the show ground), it is NOT suitable for long periods of outdoor use, please view our range of gold-zinc coated dog enclosures and outdoor dog runs if you are looking for long periods of outdoor use.